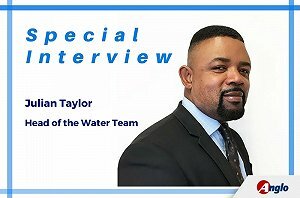 Today we interviewed Julian Taylor, the Head of the Water Team at Anglo. He shares his thoughts on the water industry and gives some useful advice to professionals who are working in the Water and Wastewater industries. A: What is your professional background? J: Well, I have been in recruitment for more than 10 years. I started up doing Civil Engineering and Construction with engineering companies in the UK. Then I developed the international division of the company working on Middle East and Africa based projects. This led me to commence and thrive within a successful career in Oil & Gas recruitment on a national and international basis until the markets went down a couple of years ago. Having always worked on technical vacancies for medium to large engineering consultancies, entering the water industry was a very natural progression for me. I have now undertaken to work hard at developing the international side of Anglo Water Department. A: What are your responsibilities within the water team at Anglo? J:I am responsible for the team hitting their corporate targets, for the account management of the large key water clients we have, managing their PSLs and developing our existing relationships further. Since starting I have acquired multiple clients in the water industry, ranging from renowned utility companies through engineering consultancies to global environmental businesses. By the end of the year, I reckon we’ll have double the amount of business. A: How busy is the UK water / wastewater industry? J: Very busy. We are in the middle of AMP6 cycle and not even at peak yet. We are forecasting the number of vacancies will increase exponentially within the next 6 months. We are currently actively seeking civil engineers, project managers, process engineers and modellers as a priority. Our forte is M&E and civil engineering in water so anyone looking in that field should come to us really. A: What advice would you give Water professionals who are actively looking? J: Should you be contemplating a career move, now is a really good time. Take your time to pick the projects that you would like to work on and don’t necessarily go with big companies but choose small to medium-size companies who also work on exciting projects to start your career. Make sure you contact recruiters specialised in water / wastewater who will contact you to seek your approval to submit your CV to their client. You must ensure you know where your CV is going to at all times. Here at Anglo we have a very thorough quality process and we would always speak to candidates before any CV submission is made.